﻿ Kuta Puri Bungalow and Spa, Bali | FROM $56 - SAVE ON AGODA! "This huge resort is perfectly positioned on the beach end of..."
"Very welcoming staff, Room cleaned everyday great breakfast, swim up pool bar Amazing location - 24hr security 1 min walk to beach with amazing sunsets Would de..."
"Very clean good breakfast, easy to get around Kuta." "Staff were wonderful (especially Gede)." 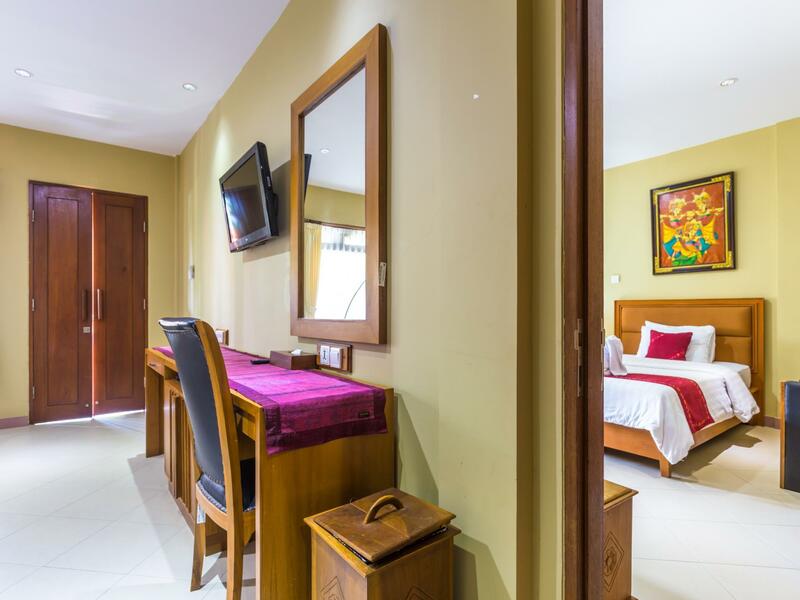 Offering quality accommodations in the shopping, nightlife, beaches district of Bali, Kuta Puri Bungalow and Spa is a popular pick for both business and leisure travelers. From here, guests can enjoy easy access to all that the lively city has to offer. With its convenient location, the hotel offers easy access to the city's must-see destinations. 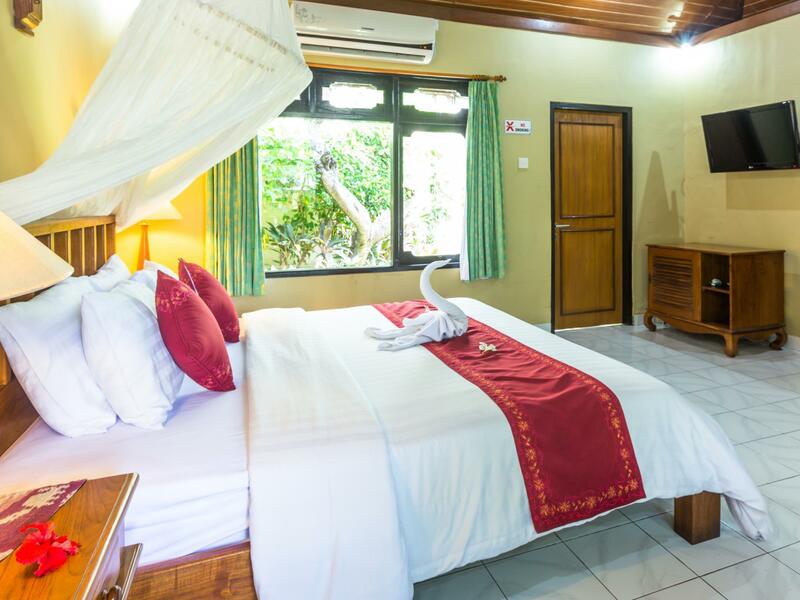 At Kuta Puri Bungalow and Spa, the excellent service and superior facilities make for an unforgettable stay. Guests of the hotel can enjoy on-site features like free Wi-Fi in all rooms, 24-hour front desk, luggage storage, Wi-Fi in public areas, car park. Guests can choose from 79 rooms, all of which exude an atmosphere of total peace and harmony. The complete list of recreational facilities is available at the hotel, including outdoor pool, spa, massage, garden. Discover an engaging blend of professional service and a wide array of features at Kuta Puri Bungalow and Spa. 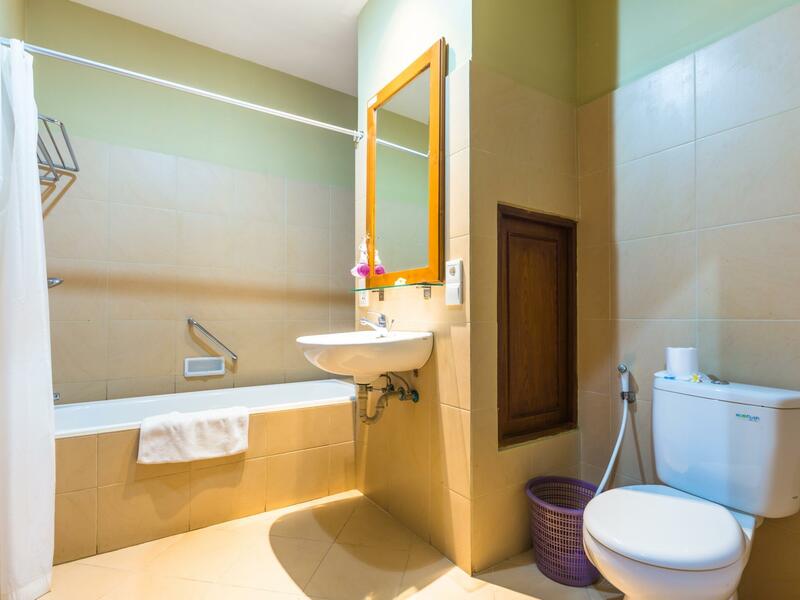 "Great location, the staff were really friendly and helpful a..."
Actually, I don't like to stay in Kuta area, too many people, terrible traffic. Fortunately, I decided to stay at Kuta Puri Bungalow. This hotel just like a totally different space in Kuta, I felt quiet and peaceful here. I will not stay Kuta area next time I visit Bali, but if I have to, I will choose to stay Kuta Puri Bungalow again! We had a bungalow and were very pleased with our stay. Fantastic Staff, beautiful gardens and pool. Located at the end of Poppies 1. It is not far from the Beach and the Beachwalk shopping mall. Plenty of places to eat close by. Have stay at Kuta Puri many times. This place is a hidden gem located at the beach end of Poppies 1. 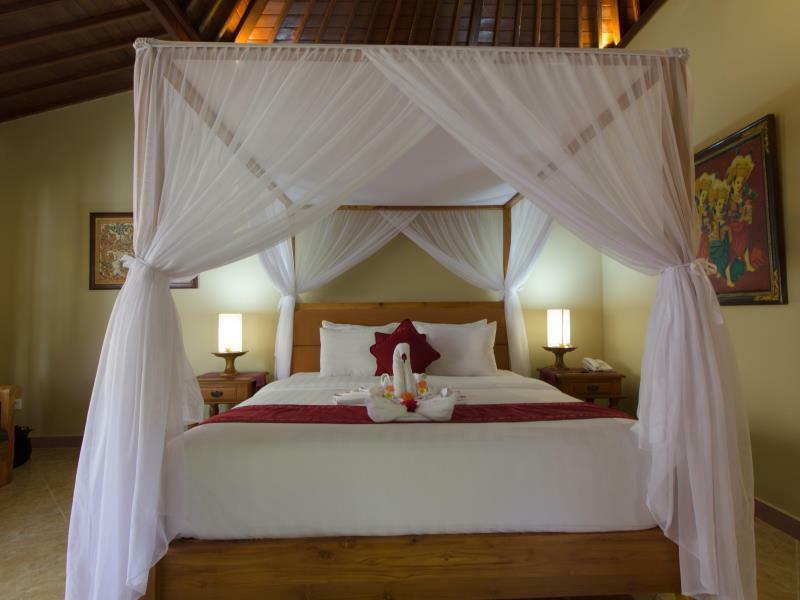 The resort is tradition Balinese style with great gardens and renovated rooms. The location is excellent across the road to the beach,right among great shopping and close enough to the night clubs. The staff here are Awesome nothing is too much to ask for and always have a smile and willing to help. The Grand Deluxe rooms located on the ground floor are great value. The resort has a swim up pool bar,kids pool and soon to be renovated restaurant. I can highly recommend this resort. Dear Wayne , Greetings from Kuta Puri bungalow resort and spa . Thank you very much for your recent stay and sharing your experienced during your holiday with us . We are happy to know overall you enjoyed your holiday this time and looking forward to welcoming you back on your next visit . Have a nice day . Kind regards , Management . Bungalows in lovely setting with 2 swimming pools with swim up bar and spa. Nice big air conditioned rooms with a fridge. Breakfast was good and varied each day. Staff were all very nice and welcoming. This huge resort is perfectly positioned on the beach end of Poppies Lane so just steps away from everything Kuta has to offer. Sunset beers on the beach, Mei Goreng in a cool cafe or drinks at the Hard Rock. Best of all it's a calm oasis away from the chaos of Kuta. The big, quiet rooms and swim up bar make it an affordable and relaxing place to see Kuta. Check in simple and room available before advertised time. Room spacious, clean and well serviced. Hotel grounds well maintained and easy to walk around. Two swimming pools with swim up pool bar in one. Breakfast area small but being extended. Limited choice but ample for most travellers. Hotel restaurant available. As usual in Bali very friendly staff. Overall a very enjoyable stay. 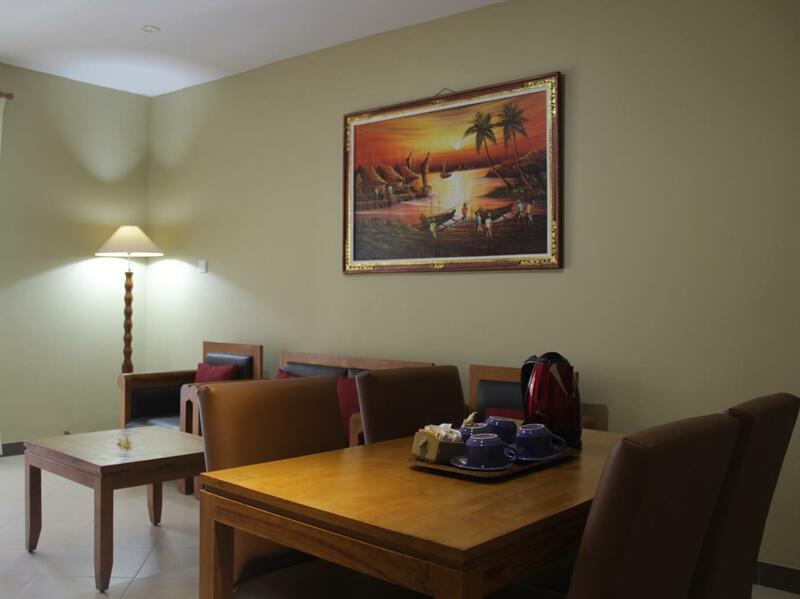 Great location, easy walk to Kuta Square, super friendly staff, clean rooms, would definitely stay again. Great location, the staff were really friendly and helpful and the food and drink was reasonably priced. Agoda made an error with our booking and we weren’t happy with our room so the staff kindly helped us changed rooms. The pool was nice and had a cover over the the kiddy section so that was good. We had 2 showers in our room and both caused flooding in the bathroom but in my experience in South East Asian cheap hotels, this is fairly common. The grounds of the hotel were really lovely and even though we were right off the Kuta strip, there was no noise. I’m not a breakfast person so I felt the breakfast was fairly ordinary, however again, it was similar to many other South East Asian hotels. Overall we were very happy and had a lovely stay. There is no denying this is an older hotel. 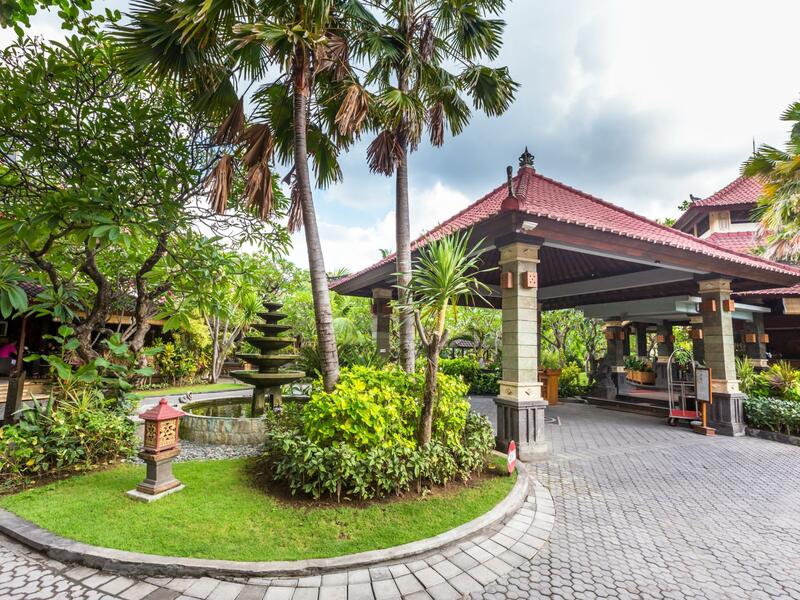 The design is classic old bali, the gardens are large very well presented and maintained. Two pools next to each other, one with a swim up bar. All staff are very pleasant and polite. The included buffet breakfast is ok. The location is very close to the beach and a very short walk to many restaurants and the night clubs but not close enough that you hear any noise to disturb a good nights sleep. We have stayed here four times now and would be more than happy to be a return again. Dear Craig , Warmest greetings from Kuta puri Bungalow , Resort and Spa . Thank you very much for sharing your experienced and choosing Kuta puri as a place for holiday for the 4 times . We are glad to know that overall you enjoyed your holiday and will be our great pleasure to welcoming you back on your next visit . Thank you , have a nice day . Kind regards , Management . The Kuta Puri has wonder accomodation, beautiful gardens, warm friendly staff who have worked at the Puri for many years. Its a gem , close to all amenities, around Kuta, once you walk off Poppies 1 into the grounds of the Kuta Puri you’ll find a hidden ossis. We have recently stayed with 3 adults 3 children in 2 superior balcony rooms for 13 nights. Check in and check out process was super smooth. The gardens and grounds are beautiful, very well maintained. A hidden oasis amongst the hustle and bustle of Kuta! So close to the beach, perfect for the kids. Cannot wait to visit again next year and see the restaurant area which is currently under construction. Thank you Kuta Puri Bungalows for a wonderful and memorable holiday. A nice place to stay in Poppies Lane, Close to the beach and shopping markets. This property can cater for all. Amenities are good, staff excellent. Dear Nicholas, Warmest greetings from Kuta Puri Bungalow , Resort and Spa . Thank you very much for your recent stay and sharing your experienced during your holiday with us . Sorry about the taste of our alcohol and jack Daniels was not meet your expectation . We will forward your feedback to our meeting board to take necessary action . Thank you , have a nice day . Kind regards , Arta Sales Marketing . Kuta Puri is set back off the main street (across from the public beach). It is an excellent value for the $$! Great pool and a nice breakfast buffet with good wifi. Kuta Puri is a very short walk from the Matahari Mall/Grand Inna Kuta and tons of other vendors and restaraunts. You can't go wrong with this choice!!! Oh, 120,000R to the airport by the hotel. Great location. 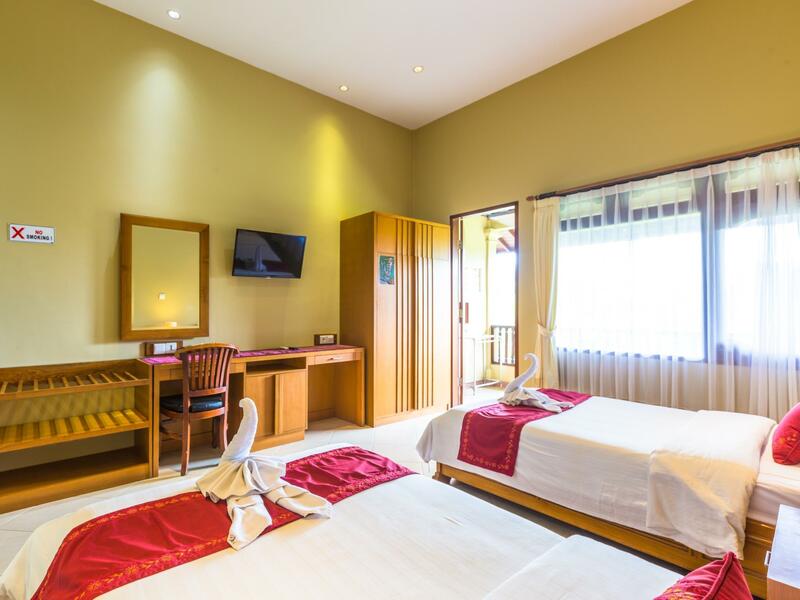 Although Kuta itself is already congested yet the hotel find a niche for their customers to relax because of the ambiance and the way that they designed the hotel with a touch of nature. Very accommodating staff. Third time staying here. Grand deluxe this time. Only difference between this and superior is grand deluxe are located on ground floor- a good thing as stairs are quite steep. Grand deluxe also have a walk on shower as well as a bath. Room size about the same. Very clean, great and friendly staff and I think breakfast has improved from last visit. They are always doing upgrades to the hotel, new pool deck this time and are renovating the bungalows. Beautiful gardens and traditional hotel style, unlike all of the new ones being built. Dear Elizabeth , Greetings from Kuta Puri Bungalow and Spa . Thank you for your feedback and sorry for the delay in replying your review . It's glad to know that you enjoyed your holiday with us earlier this year and very much looking forward to welcoming you again on your next visit . Have a nice day . Best regards , Management .